Not a full tried and tested, more of a taster to get your lips salivating. Lockexpo is just around the corner and the sponsor this year is new to the UK, M&C BV from the Netherlands – Holland to you and me. So what are they going to bring to the UK? 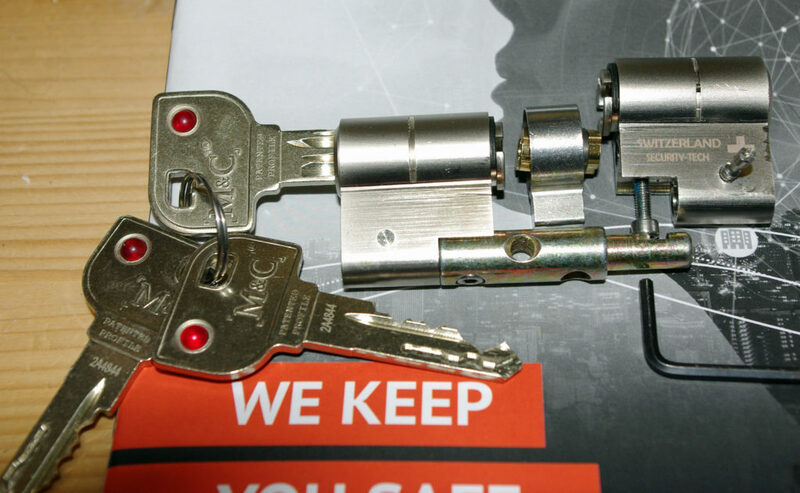 A fantastic never been seen before cylinder and key system! The whole range is modular meaning any size cylinder can be made on site in under 10 mins. Color+ – the keys can have coloured tags slipped over the head to distinguish the key or the sub section. Available finishes are nickel, brass and interestingly black! Solid key – 150K differs possible. Matrix – has a solid steel key protected against unauthorised cutting, available in nickel, brass and black with 3.5 million possible differs. 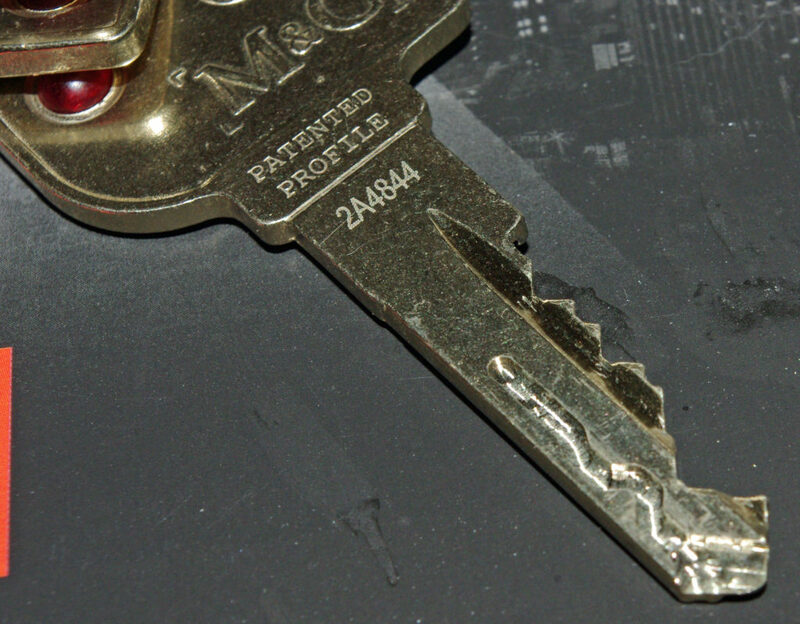 M&C Matrix key – up close. The sidebar snake offers protection against copying by other locksmiths and the undercut provides protection against unauthorised blanks. Condor (a smack for anyone that says Ahhhhh Condorrrr with a silly look on their face) – a higher security version. Same protection, more differs – up to 5 million – and better security. Also available in nickel, brass and black. Move – 9 million differs possible. Also nickel, brass and black, this section is also impression resistant. All the cylinders are anti-bump, anti-pick, snap and drill resistant, all can be opened from the other side if a key is left in the cylinder, side bars add to the equation – and cylinders are interchangeable. There will be a follow-up article pre-show explaining how they can be keyed alike or mastered by the locksmith. The Matrix cylinder dismantled ready to be adapted to the length required. They will have top level experts at the show, not salesmen but genuine locksmiths who have used and developed this system. They will have a few surprises, I am given to understand a competition or two and some giveaways. So peeps pop along, have a look, have a beer, chew the cud with fellow lockies and enjoy.